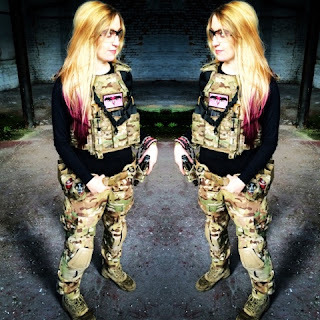 Warrior Assault Systems Recon Plate Carrier Shooters Cut Review! Hey everyone! 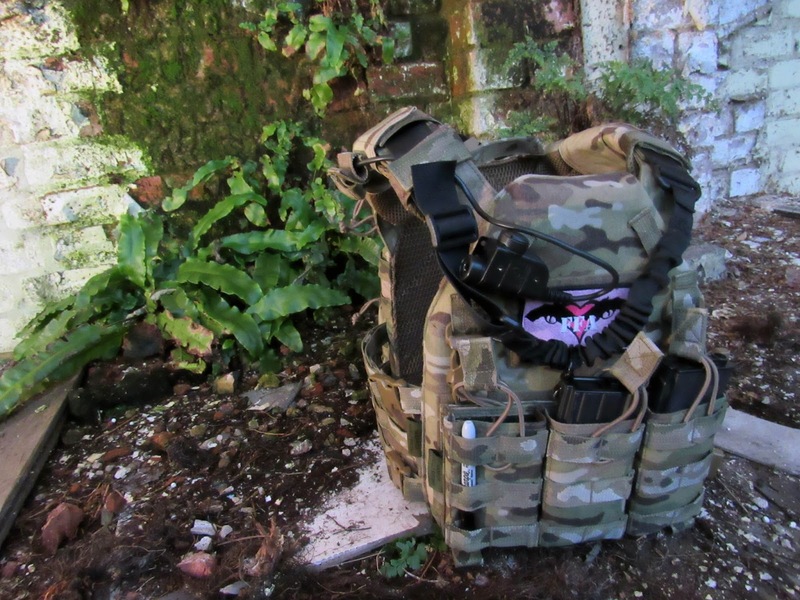 Here is a review you've been asking for, for a while - the Warrior Assault Systems Recon Plate Carrier in the Shooters Cut! You've seen it in my photos for the last few months of 2015 and have asked endless questions - I now feel like I know the product well enough to give you an indepth review! I purchased the Warrior Recon Plate Carrier SC when my previous PCs fell short - a cheap eBay Job and then another cheap £20 jobby from Taiwan Gun (I know a lot of people rave about TG but that's just my experience!) After running with a new team for a fair few weeks who swore by this brand, I thought I'd check it out! 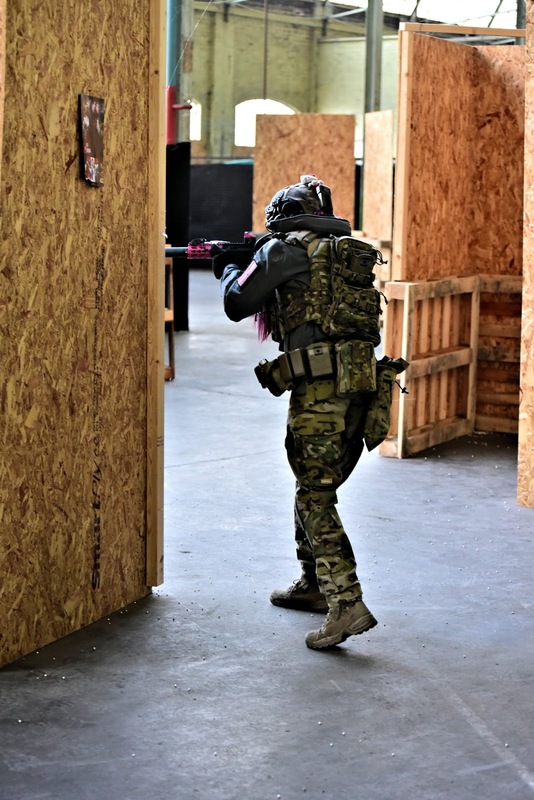 My first thought was the expense, and their gear was a hell of a lot more expensive than what I was used to but after trying one of the lads Recon PCs and seeing how well it fitted, I decided to take the plunge and ordered the new Warrior Recon PC in the Shooters cut from UK Tactical, luckily they had a discount code of 20% so I ordered the Warrior Triple Open Mag Pouch and the Warrior Cargo Pack both in MultiCam to accessorize it. The order came to a total of £166.89 with next day delivery. There were 3 things that I wanted from my new Plate Carrier: for it to be lightweight, low profile and completely adjustable to fit my small frame and the Recon delivered. The Recon Plate Carrier in the Shooters Cut is one of the latest evolutions of Plate Carriers from Warrior and is a lightweight, versatile and low profile alternative to some of their more classic styles such as the DCS. The PC has been designed to keep a ballistics plate in the front plate pocket and a SAPI plate in the back pocket. 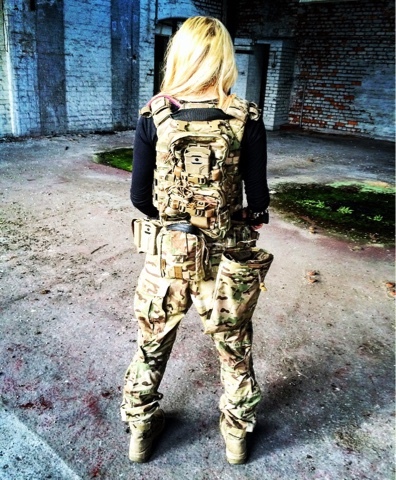 Both plate pockets however feature a backing of 3D mesh to help with the dispersal of body heat from the shooter and also improve ballistic performance. The PC comes standard with a non ballistic foam insert - perfect for Airsoft, it's a good thickness and gives a distinctive sound when a BB strikes it. The RPC features a ladder style cummerbund that still has MOLLE compatability. The PC itself is covered back and front with a MOLLE system and has a front velcro panel so you can easily swap pre configured weapon specific pouch set ups. As I said I chose to accessorize it with the Triple Open M4 Mag pouch set up and the Cargo pack on the back. Before we get down to anything else, let's talk about the fit as that was the most important aspect of the carrier for me! The Recon PC is completely adjustable, from its cummerbund to its padded shoulder straps (with wrap arounds for comms and hydration channeling) it can be adjusted to any body shape - I ordered the medium which fits up to a 45" chest. The most important aspect for me is the adjustable waist, with previous plate carriers I have found they just don't tighten up enough for my small frame. The ladder style cummerbund is attached to the RPCs front via two removable ITW SR clips and back via a velcro panel - this makes it super easy to adjust and it pulls in tight enough for my 26" waist. The shoulder straps allow for adjustment and although I'm not overly booby, it is nice to have a little extra wiggle room in the top with a tight waist. The fit gets a big thumbs up from me! I also love the shooters cut at the shoulders which makes it easier to shoulder your weapon. It's low profile design means it is slim, compact and lightweight, which is perfect for those like me who have a smaller frame. What's the quality like? It's made from genuine Mil Spec materials and hardware making it durable, hard wearing and great value for money. I have owned this PC for around 6 months now and the foam inserts have held their shape incredibly well! I've fell in it, crawled in it, skidded along concrete floors in this, had pyro land on it and it has no scuffs, tears or any damage - it is filthy from the numerous skirmishes and MilSims it has had to endure but this takes away that new kit shine. I am seriously impressed with this particular PC. Open M4 Mag pouch, my FFA patch front and centre, a one point sling channeled through the straps alongside my Z-Tac PTT and my hydration system during MilSims and hot summer days. 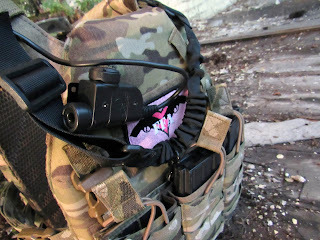 You will also see a tactical sharpie clipped onto the MOLLE of my mag pouches! My Warrior Cargo pack holds all the essentials I need on field from primers for my impact grenades, beebs, gas and disposable pyro. It has a pouch for my water bladder which keeps it separate to protect it. I also have a plastic Warrior Mag pouch on the back for team mates on MilSim ops. 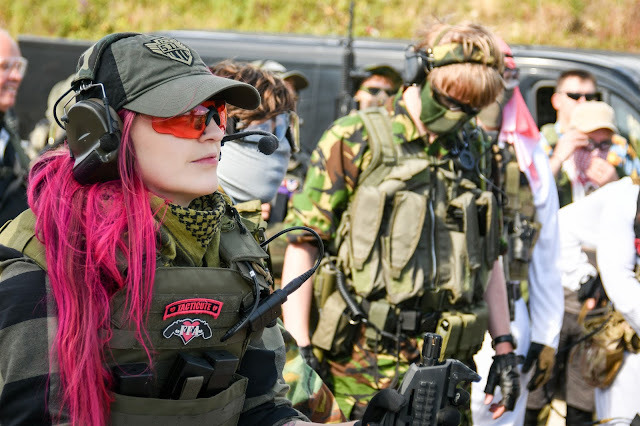 My RPC is minimal on accessories but it has everything I need on the field.